The Complete Guide to Mystic Topaz, blue, pink & other colors. While topaz is quite hard, its toughness and resistance to blows is considered poor because of its perfect directional cleavage. Treated gems may be even more vulnerable to cleaving. Ultrasonic cleaners and steamers should be avoided. A soft, damp cloth remains the best way to clean topaz and topaz jewellery. Colour is the principal feature of topaz with pink to orange to reddish orange combinations being among the most collectible. Size of the gemstone is also an important attribute, even in irradiated material where huge museum-quality gems are occasionally available. Occasionally trapped minerals such as rutile can be found in topaz. Topaz has perfect cleavage in one direction, so carvings are rare. When they do occur, especially by known artists, they are soon collected. ‘Mystic Topaz’ is ”real” Topaz that is coated to add color. Much of the Topaz that is found in nature is in fact colorless, or ‘white’. To add color, Topaz can be coated with an ultra thin layer (film), which is similar to the coatings used on camera lenses. Such coatings can add a particular color to the treated stones, or, In the case of ‘Mystic Topaz’, the coating creates interference effects, displaying a rainbow effect of various colors. This effect may give the Topaz an artificial appearance (see photos), which sometimes causes confusion about the nature of the material. 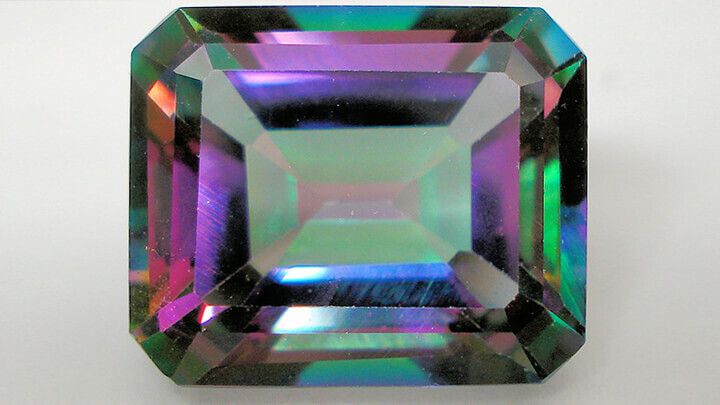 The quality of the created rainbow effect in Mystic Topaz (is it really pleasing to the eye or not) and the visibility (or absence) of inclusions could determine the difference in quality between the individual stones. Coatings can be scratched or damaged easily. It should therefore be handled with the same care as pearls for example. The coating is sensitive to chemicals and therefore one needs to remove the jewelry when doing household activities that include bleach for example or before going into a swimming pool. Although Topaz is a hard substance, it can be cleaved rather easily and perfectly in one particular direction. Therefore, boiling in water or the use of an ultrasonic cleaner are not recommended when cleaning pieces of jewelry set with Topaz. 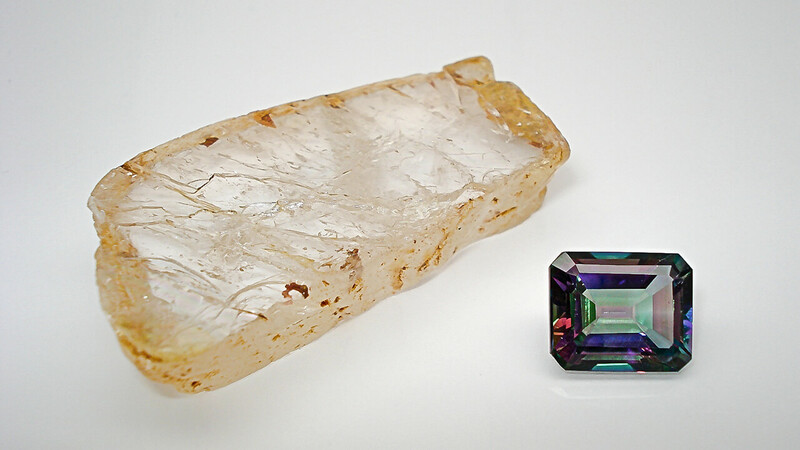 The particular rough in the second photo comes from the Elahera district, Sri Lanka, a locality where large chunks of colorless topaz are found. Topaz from Ouro Preto (Villa Rica), Minais Gerais, Brazil etc. 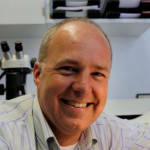 Read about the discovery and the geology of Topaz Mountain, Thomas Range, Utah by George Frederick Kunz!